A little creature I spotted in a mailbox. Poor guy has a part of a leg missing. 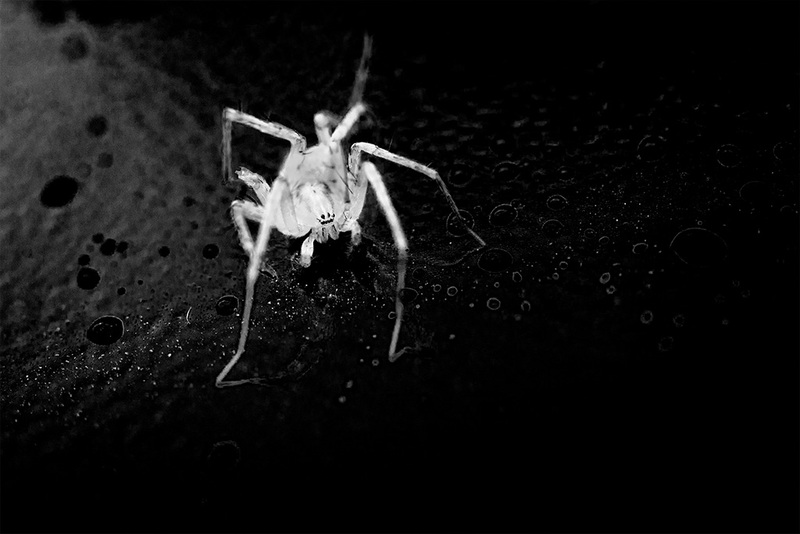 This shot was an instant black and white moment.The spider was yellowish and the black metal reflecting the daylight was bluish so I knew right away that I could get a nice contrast in black and white. B&W is fun when there are only two colors in the scene!